House Democrats are working to lift the ban on religious headwear on the floor. (Mark Vancleave/Star Tribune via AP) Ilhan Omar delivers her victory speech to supporters in a packed ballroom Tuesday, Nov. 6, 2018, in Minneapolis. Omar could be one of the first federal representatives to wear religious headwear in Congress. She’s joined by Michigan’s Rashida Tlaib as one of the first two Muslim women representing their districts on Capitol Hill. The rule change was proposed last week by Nancy Pelosi in the wake of a historic wave of diverse lawmakers elected to Congress. Pelosi, who aims to reclaim her position as Speaker of the House, is working with Ranking Member Jim McGovern and Omar on the initiative. The change would “ensure religious expression” by “clarifying in the rules that religious headwear is permitted to be worn in the House chamber,” according to the proposal. 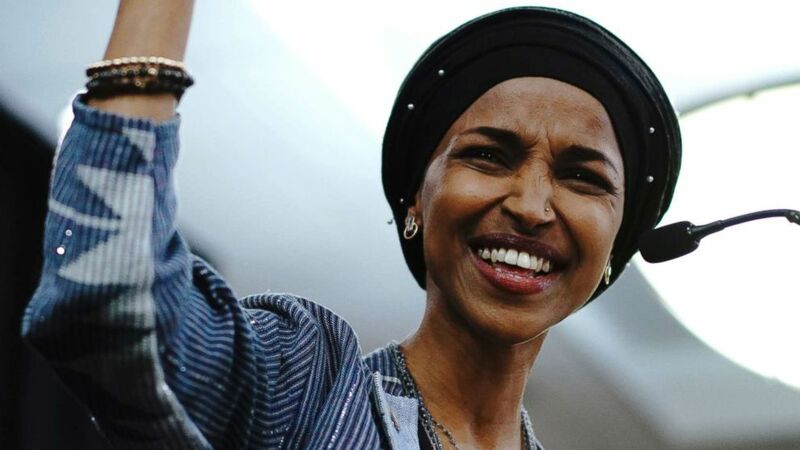 Before her victory in the midterms, Omar made history in Minnesota when she was elected to the State House in 2016 as nation's first Somali-American legislator. The current rules were adopted in the 1800s without much debate and the language was eventually modified to read, “Every member shall remain uncovered during the sessions of the House.” It was custom in the British Parliament to wear hats while in session. The new proposals, if approved, will take effect in January with the start of the 2019 legislative session.